Dimensions: Ceiling rose- chrome, 18cm. 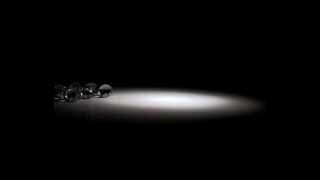 Foscarini Caboche Media Suspension light composed of 189 transparent polymethylmetacrylate spheres. The Foscarini Media Suspension offers direct upward and downward light projection and diffusion throughout the space. The Foscarini Caboche Suspension is also available in smaller version (Caboche Piccola) and larger version (Caboche Grande) - see the drop-menu above.